Isn’t It Time to Clear the Bird Poop from Your Brain? A couple of years ago, I took my first trip to Europe. JB and I spent a couple of weeks in the Netherlands while he worked and then we took some vacation time to explore. We traveled by train – first from Amsterdam to Brussels and then (through the Chunnel!) to London. After seeing the Tower of London, Buckingham Palace and a few other places, we hopped on another train bound for Wales. Next on our agenda was Dublin! We took a ferry to Dublin and spent a glorious four days exploring the sights, sounds, and history of the Irish People. Then, our adventure was over. We flew back to Amsterdam where I boarded a plan headed for home while JB headed off for another business trip in Eastern Europe. After planes, trains, ferries, automobiles and eight hotels in three weeks, I couldn’t wait to get home. I was exhausted when I finally walked through the door of my Home, Sweet Home. After dropping my bags, the first thing I noticed was a big ole splatter of bird poop right smack in the middle of the window over the kitchen sink. It was 10 PM on Saturday night. I had been on the go for almost 24 hours. I unpacked, created little piles of laundry, fixed myself a glass of water, and went to bed. I decided to ignore that splatter. On Sunday morning, the bird poop was still there. I averted my eyes when I made coffee. I spent all day in the great room – which is open to the kitchen. I tried to pretend I didn’t see the bird poop. But honestly, this was a six inch splatter right in the middle of the window – exactly at eye level. It was kind of hard to pretend it didn’t exist. But all day, I alternated between ignoring it – and telling myself I had to get all the laundry done before I tackled it. And, of course, deep down, I hoped that the poop would just disappear without me having to do any work. By the time Monday rolled around, I just couldn’t ignore this giant splatter any longer. While my coffee brewed, I armed myself with Windex and a roll of paper towels. I pulled off my slippers, grabbed the step stool, and climbed up on top of the kitchen counter. I balanced myself to avoid stepping into the sink. Our widows flip so that you can wash the OUTSIDE from the INSIDE, so I flipped the window OPEN. Not only was the poop on the window, but it was on the screen too. I rinsed the screen, cleaned the window, and put everything back in place. Then I washed my hands. The whole process took 15 minutes. After wards, I fixed my first cup of coffee and was able to really savor it while looking out my crystal clear window. I felt so free and accomplished – all from spending 15 minutes washing the bird poop away. Then it hit me. Our minds are sometimes like my kitchen window. Our dreams and inner most desires peek at us – like sunshine through the clouds. We allow our colliding thoughts and “have tos” keep us from digging into what we want the most. But then, we sit down to try to “think” about what we want, we just feel muddled. What we most desire is to gaze forward with crystal clear insight. But like my kitchen window, it’s hard to hone in on what we want the most thanks to the big ole splatter of bird poop in the way. This is where you have a choice, my dear. You can be like I was that first day and ignore your cluttered mind. You can choose to ignore the callings of your heart and pretend that you don’t have dreams or desires outside of what you are currently doing. Or you can choose yourself. You can decide to take a few moments of time to clear away the colliding thoughts by asking yourself some questions about what you want at this point in your life. 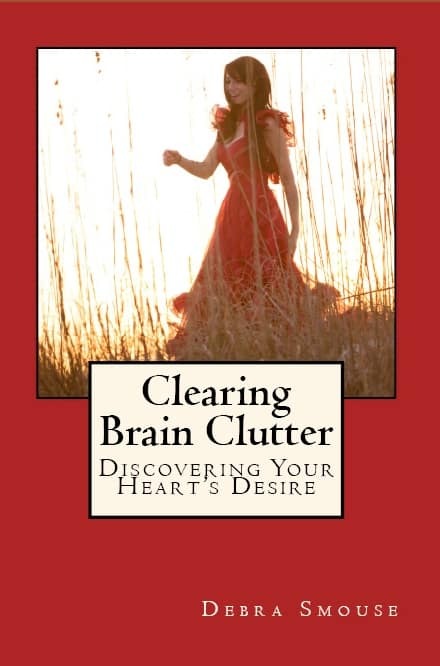 This is why I created “30 Days to Clarity: Clearing Brain Clutter – Discovering Your Heart’s Desire“. It’s designed to help you clear away the brain clutter and bring your dreams into focus. 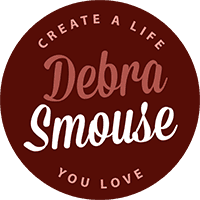 Each day of the program, you get an email with writing prompt or activity, all designed to assist you methodically step towards clearing away your brain clutter so that you can unearth what you most want in life. I know, darling, that your daily life may leave you feeling wrung out and exhausted, just like I was after all that travel. But the thing is, clearing all the clutter from your brain is not only worth the effort; you’ll discover that you actually have more energy for your life when your mind is clear. Because no one deserve to live in a house full of poopy windows, isn’t it time to arm your mind with a step ladder (help), Windex (a pen) and paper towels (or your journal) so that you can see clearly through the window of your heart to what you really want the most. What you deserve is clarity. You deserve to live a daily life that nourishes you. Because you, my darling, are worth the time and the effort it takes to gaze out of the window of your brain and see a bright and shiny future based on your deepest desires. Are you ready to clear your brain poop?